We are in interesting times. No matter where you look, most charts of stocks are screaming “buy me”. Far be it from me to fight the trend, so I thought I would devote this post to 3 bullish charts which are setting up to break out of short term consolidation to the upside. Why 3? 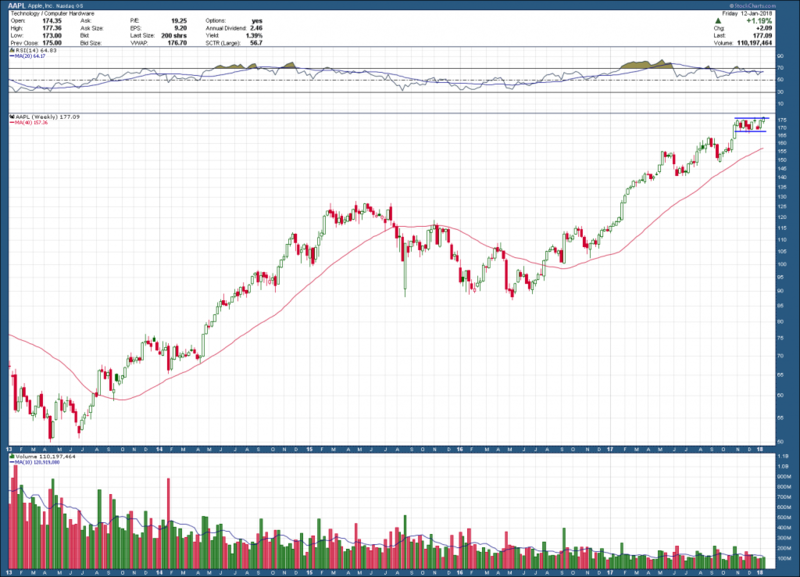 I wanted to provide an example of a stock at the bottom, middle and top of their longer-term charts. 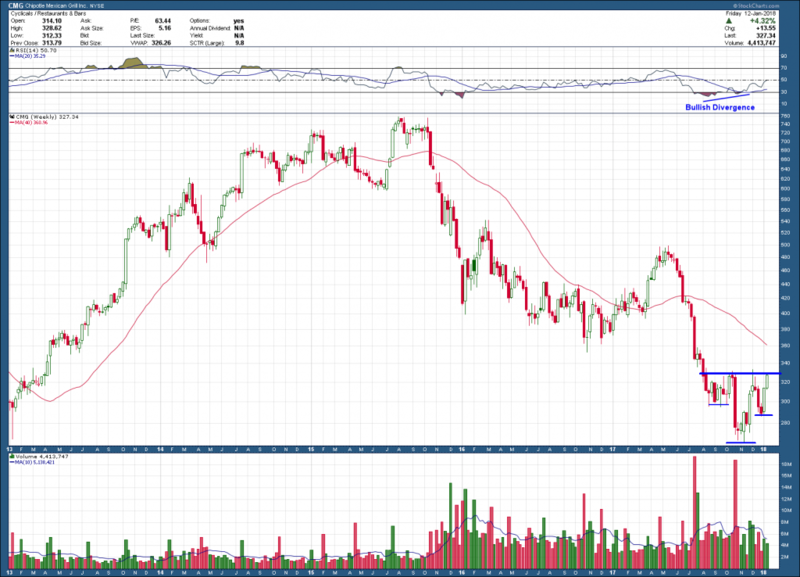 Let’s take a look at the bottom feeder first, Chipotle Mexican Grill (CMG). Anyone following Chipotle’s multiple catastrophic PR nightmares over the past two to three years won’t be surprised to see their stock off 65% from its prior highs. But it looks as if it may be ready to turn things around. With bullish RSI momentum divergence and price forming an inverse head and shoulders bottom reversal pattern, a break out and hold above the neckline would present a compelling investment opportunity. The pattern projects to a ~25+% upside target (around the 415-420 range) if it were to follow through. 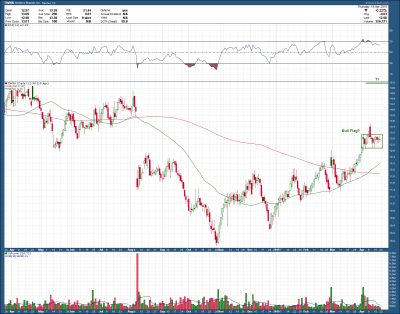 My second chart is that of Pretium Resources, PVG. As you can see its stock has been consolidating since June of 2016, forming a rectangle, its bottom at $7 and top at $12/share. 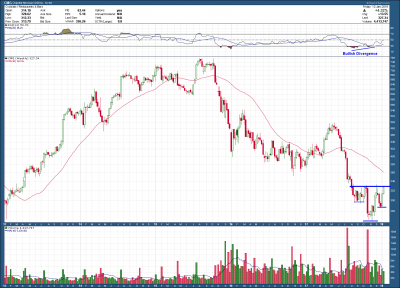 In addition to the longer-term rectangle pattern, it recently has also formed a bullish cup and handle. Having a bullish shorter-term pattern develop within a longer-term pattern is not unusual and if triggers, increases the probabilities of it meeting either one or both targets. 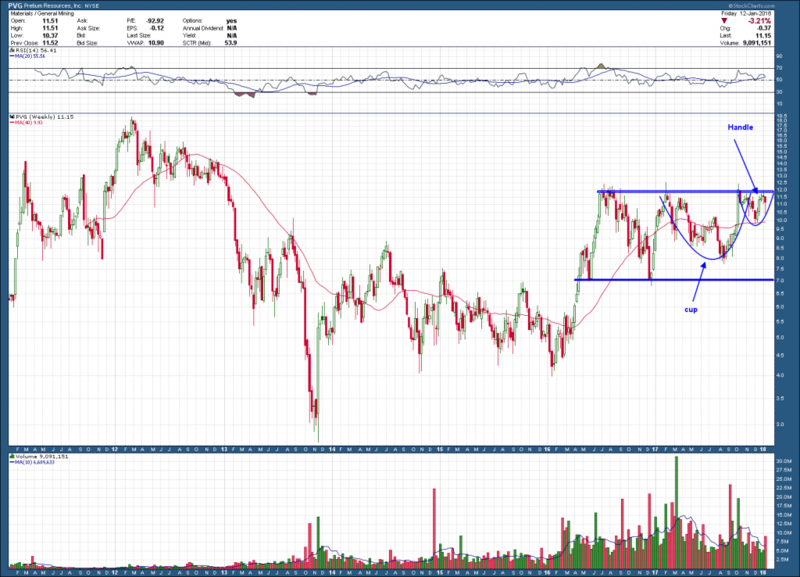 The more conservative cup and handle target projects to a 30% rise while a breakout from the larger rectangle, points to a healthy move near prior 2012 highs some 40% higher. My last chart is one that is familiar to everyone, Apple. Its price currently sits at all-time highs but it looks like it’s not done. 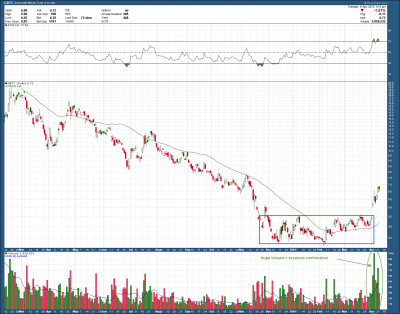 Like PVG above as it has formed a rectangle and is trying to breakout to the upside. 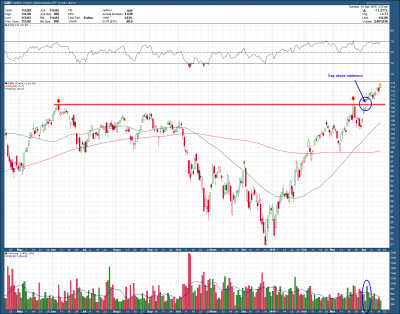 The projections for this pattern if it were to break and hold would, based upon the conservative target, push Apple’s stock price up 8%, while the more extreme target would see Apple test $300, some 17% from where it closed on Friday. Each of the above stock’s charts have formed bullish patterns using classic charting techniques as defined in the TA bible, “Technical Analysis and Stock Market Profits” by Richard Schabacker. While there are never any guarantees when investing, I find those opportunities that conform to Schabacker’s book have a much higher probability of success. Too Far, Too Fast? → ← Will 2018 Bring the Return of Inflation?